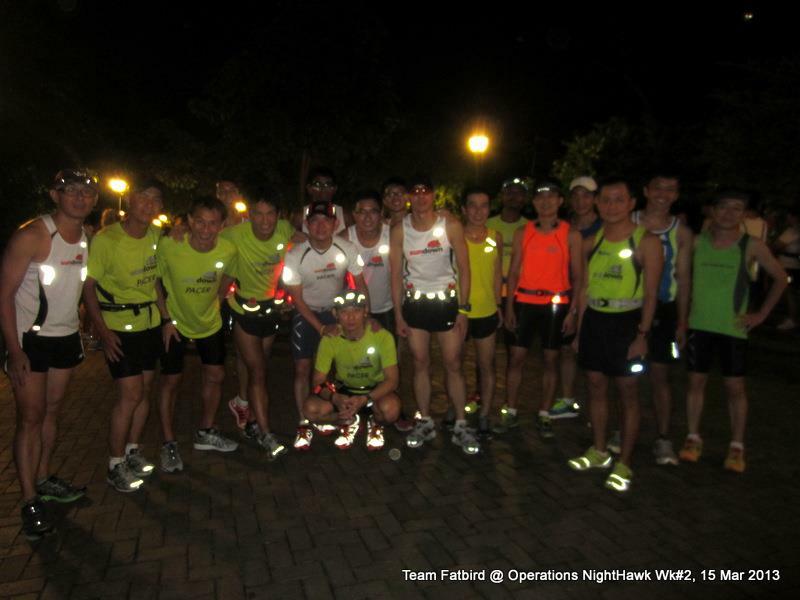 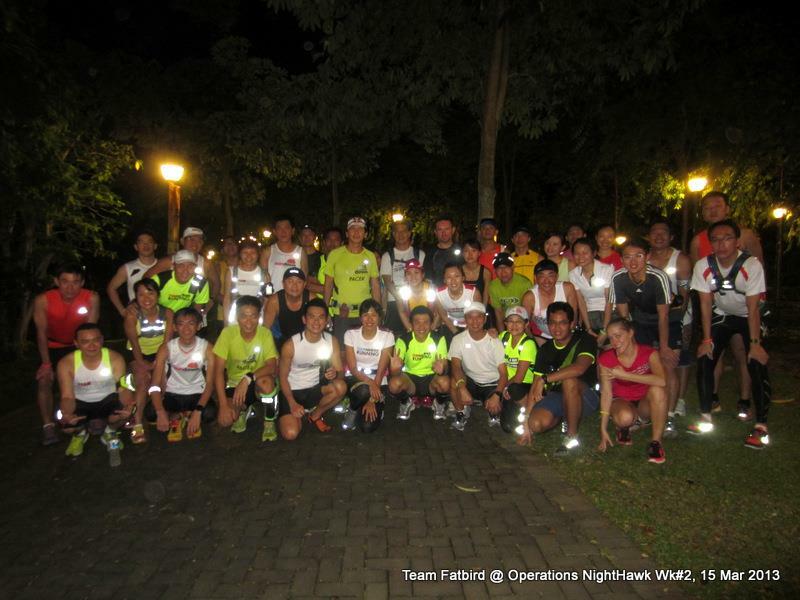 It was set to be one Wild Night Run at the green lungs in the Reservoir areas of MacRitchie, Pierce and Seletar. 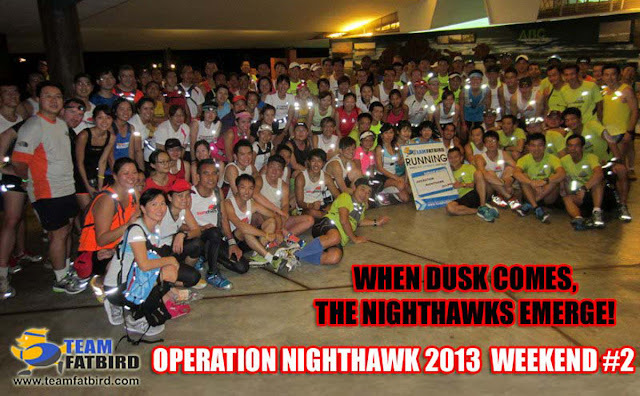 The large group of NightHawks descended upon the MR Amenities Centre for their first night LSD (Long Slow Distance), many whom were going to experience their maiden journey along these routes which were familiar, yet new as they are doing it in the night for the very first time. 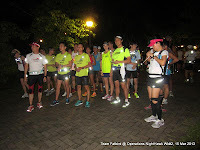 Without the mic, it was a challenge to get the buzzing flock together, but somehow in the midst of chaotic orderliness, the group leaders/crew were able to round up all for the key route briefing. 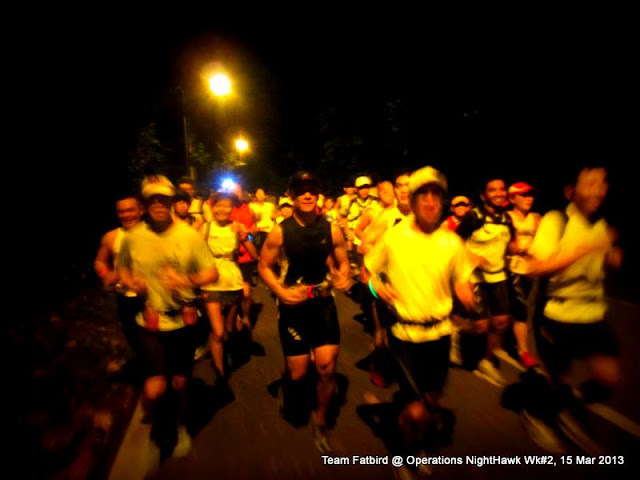 With head lights and light bands, the respective groups (each about 20-30 strong, had their own ‘pow-wows’ before setting off under the cover of night along the Reservoir roads. 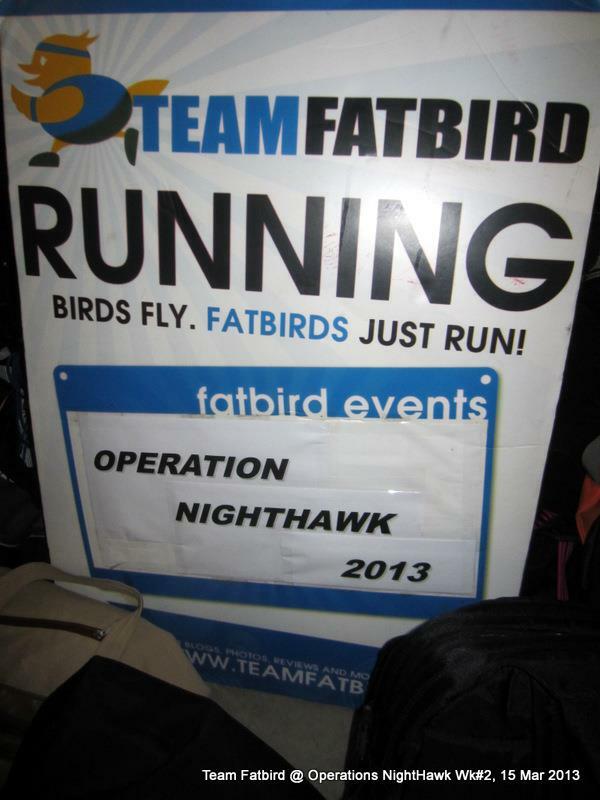 With high spirits and lots of chatter (running in BaseBuild zone), it was quite an exciting mini adventure for the NightHawks who were still getting to know one another better in their respective pace groupings. 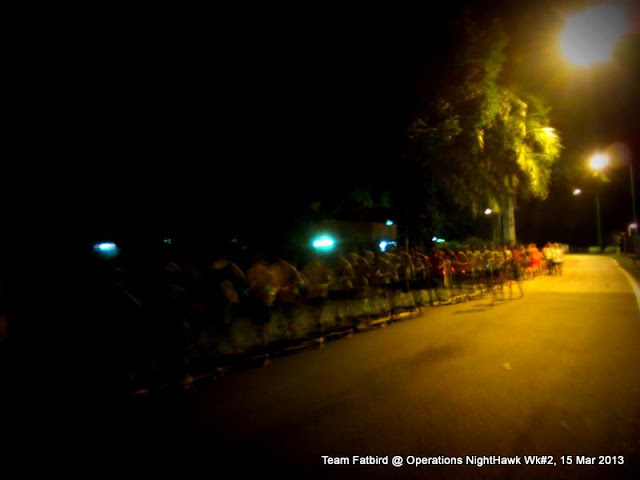 The air was cool after we got off the main axis onto the quieter road passes flanked by night forests on the sides. 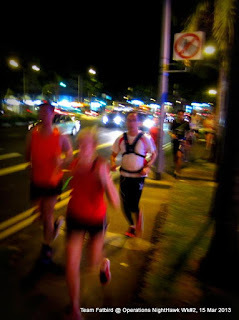 There were less bikes this evening, although the cars were still out and about along winding OUTR. The Night Running Safety Pointers dispensed earlier to the participants served as good guidance for the flock to run safe yet achieving their intended training objectives. 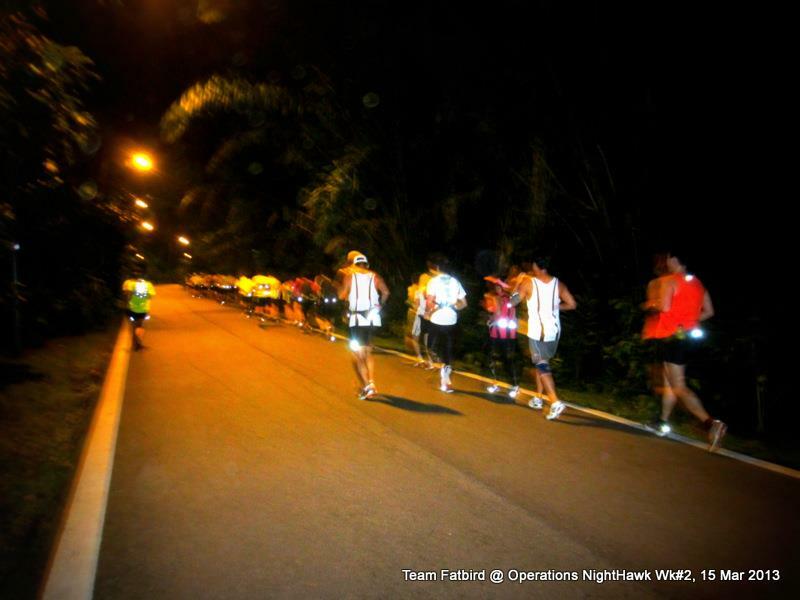 The Half-Marathon groups turned back at the 7km mark bidding farewell, some with a tinge of delight at not having to go further, while the Full Marathoners were all raring to visit the famous Seletar Reservoir Park. Since the majority of the trainees were new to the route, the Training Crew was working overtime to guard critical junctions and traffic control points. 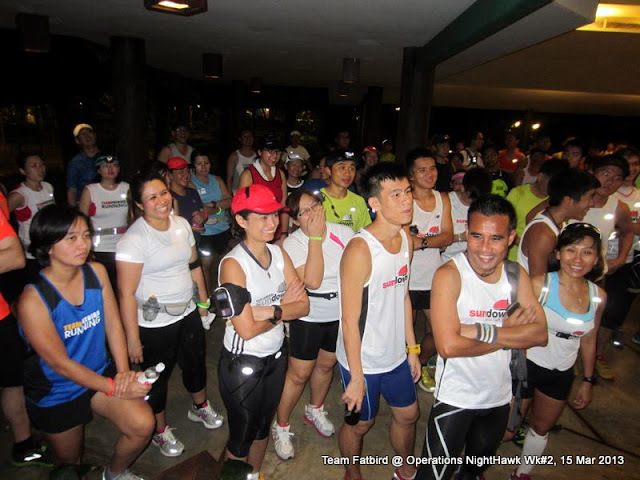 We were suitably impressed that most of the runners ran well to stay in their respective groupings, without sacrificing pace, minimizing wait time and avoiding any incidents getting lost. 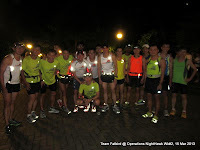 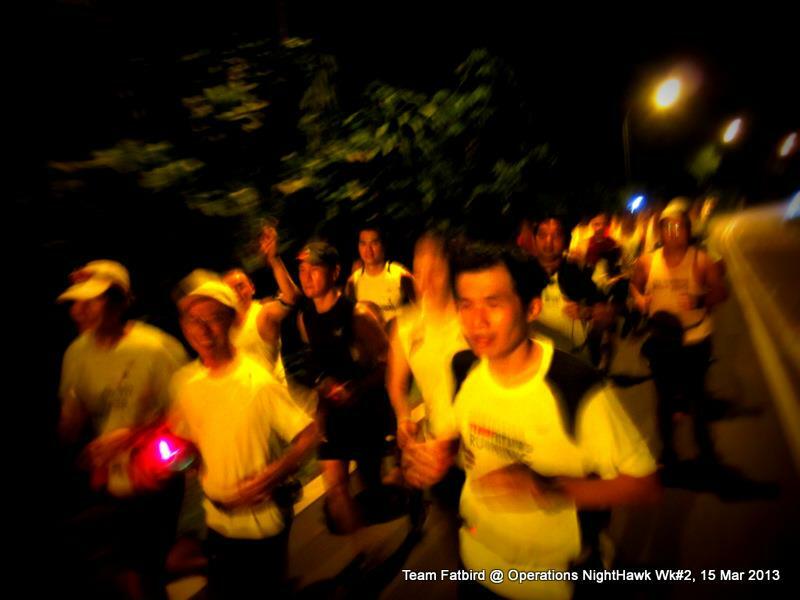 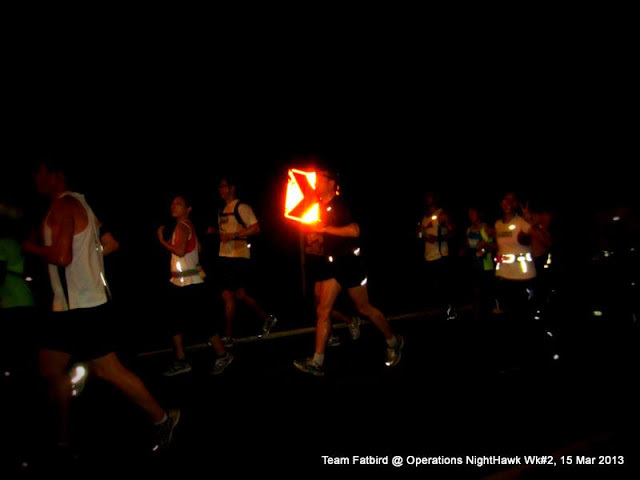 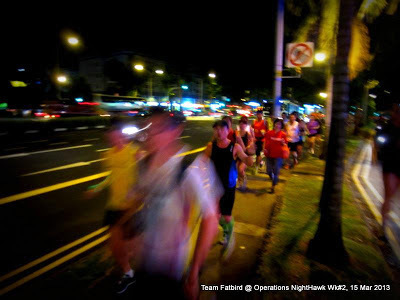 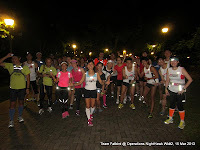 As the night deepened, some of the runners were feeling the effects of night running as they fought off the sleepiness. 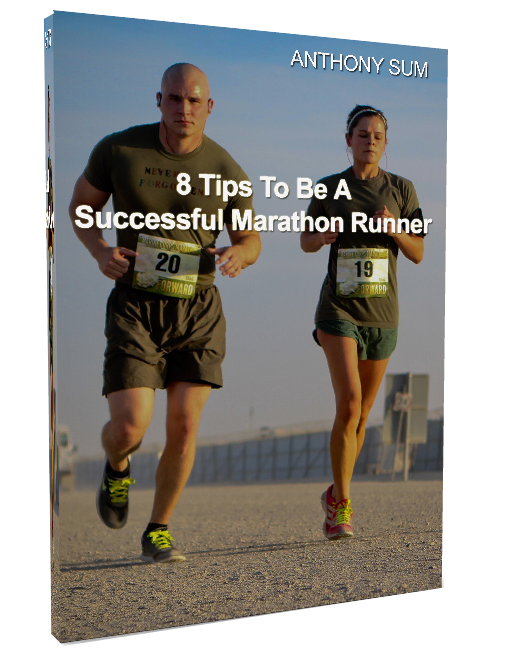 These night runs are part of conditioning the bodies to get used to the idea of long distance running near or even past bedtime, all so that we can race well in the night marathon at Sundown. 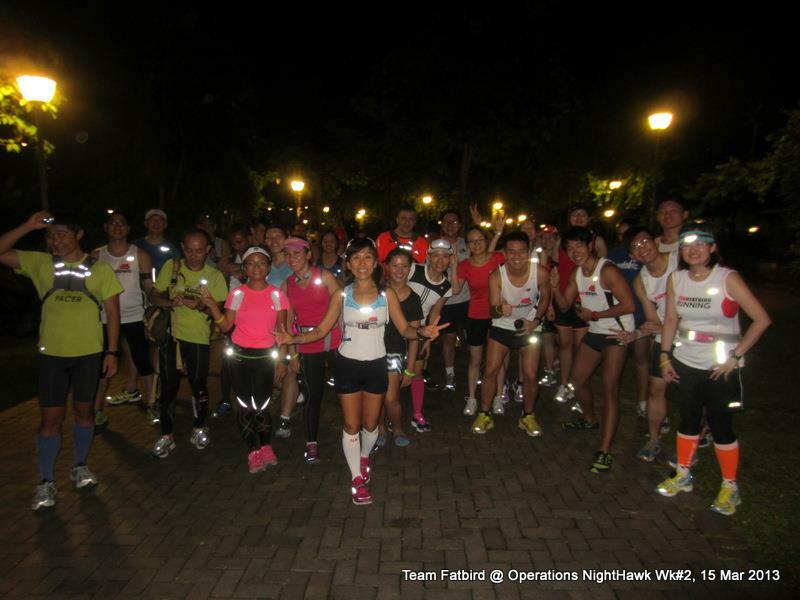 Over the next 10 weeks, we will have 5 more of such night runs in different locations, adding to the allure of the program as training at night does bring a different kind of experience to the regular day marathoners. 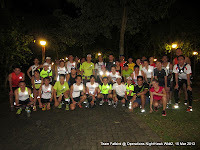 The return was without fuss as the groups were herded well by the Group Trainers/Pacers, sometimes shouting, sometimes singing, and sometimes blowing their whistles to heighten the attention of the weary runners. 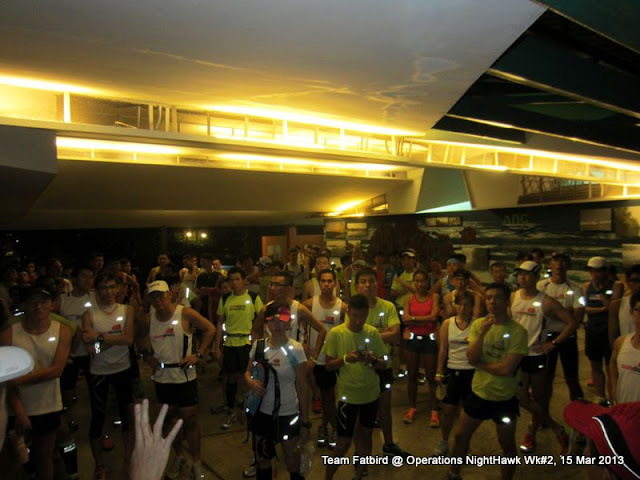 3 hours later, all were back at MR Amenities Centre in happy mood, re-hydrating with Maxinutrition drinks and refueling with bananas, while reporting their timings. 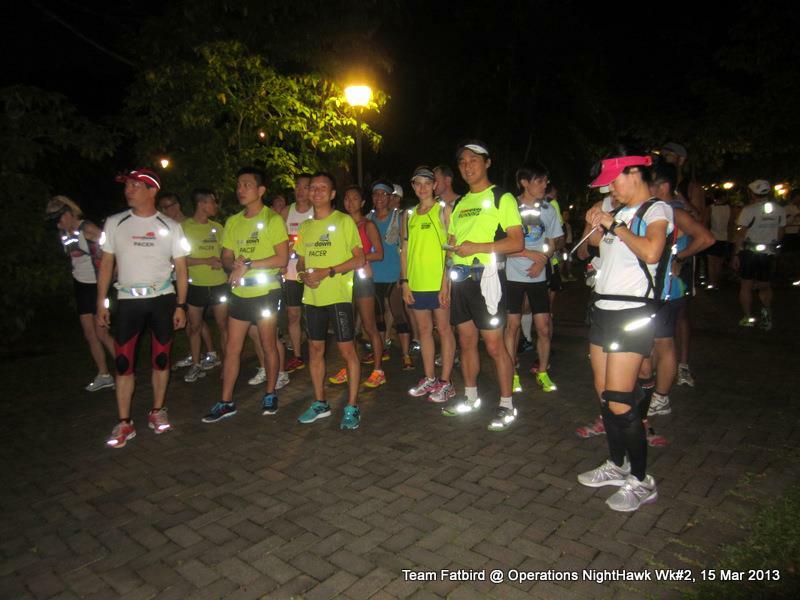 Each group had their respective cool down and mini briefings, before being dismissed in time to catch the last transport home. When Dusk Falls, The NightHawks Emerge!